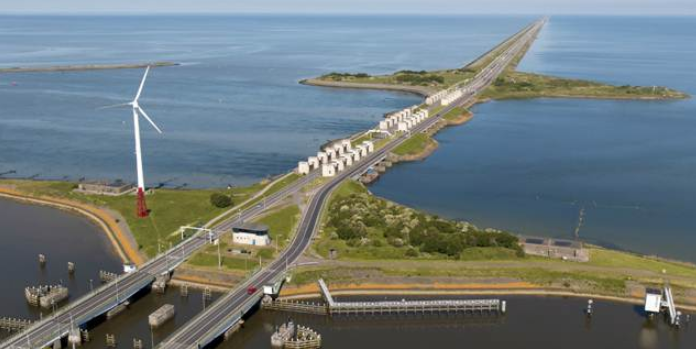 The European Investment Bank is providing €330 million in support of a major overhaul of crucial flood defence works for the rehabilitation and modernisation of the Dutch “Afsluitdijk” dam, running between the provinces of Noord-Holland and Friesland. As one of the main flood defence infrastructure works in the Netherlands, the dam needs maintenance and modernisation, expected to be completed by 2022. The financing is guaranteed under the European Fund for Strategic Investments (EFSI), the central pillar of the Juncker Commission’s Investment Plan for Europe. On a technical level, the project will bring about an increase in the discharge capacity to remove water from the IJsselmeer into the sea by installing new pump systems. The project includes a small component of road improvement and maintenance works.